Are You Having Trouble Deciding Which Smartphone You Should Buy? The race is on and every smartphone manufacturer has something different and better to offer from its competitors. 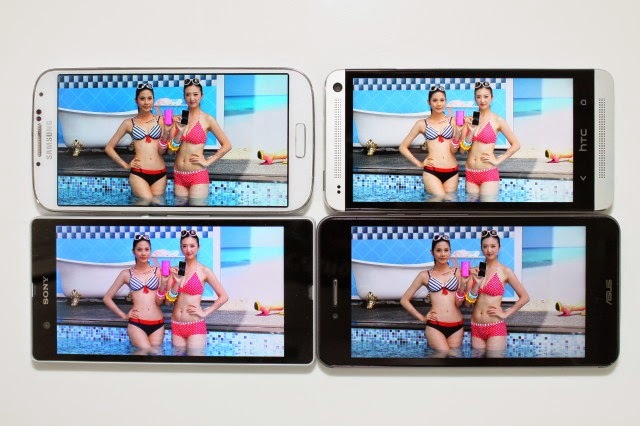 While one focuses more on the screen size the other takes a shot at offering the best camera. The giant smartphone makers in the market such as Samsung, Apple, Sony, Motorola, HTC, LG, etc. have all shown their best in the recent releases of their smartphones. However, while this competition opens up a new horizon of options for buyers, it also makes it difficult for buyers to choose one for them. You would feel like buying all of them when you look at them. iPhone 6 and 6 plus are the two new offerings from Apple. These are great phones and it would not be wrong to say that it’s hard for any other brand out there to beat iPhone 6 in terms of its looks. The plus version now offers the big screen people have been longing for since apple’s competitors came up with big screen sizes. However, this particular lacks in terms of specifications. They are not as impressive as you can get on other smartphones. For example, for some reason Apple has chosen to stick to just 1GB of RAM. The pixel density of just 326ppi is also not the most impressive. The Samsung Galaxy S6 on the other hand is an impressive pal when it comes to pixel density. The immense pixel density of 577ppi on this phone is something to look for. The curved edges of the phone add a new stylish aspect to the phone. The quad-core processor backed by 3GB of RAM could make iPhone 6’s specs look frugal beyond limits. However, Samsung S6 is not the only phone with such specifications that could blow your senses away – there is also Sony Xperia. Sony Xperia Z4 might not have a competitive pixel density compared to Galaxy S6 at Xperia offering 424ppi but this phone too offers you 3GB of RAM, a quad-core processor, an external card compatibility of 128GB in addition to its maximum 64GB and a 20.7MP camera that hasn’t been matched by any other phone on the market to date. Even the front camera on this phone is 5.1MP. Among these big giants is another little monster waiting for its turn to be recognized as the next big thing – it is LG. LG G4 has been released in April of this year and this phone is something worth looking. With a marvelous pixel density of 538ppi, 3GB RAM, quad-core processor, 16MP camera and an unmatched 8MP front camera, this phone has to be on your list of phones to buy. Of course, all these phones have their drawbacks too. Some don’t feel better in hands, others don’t have the best performance when using multiple apps and some even have the issue of becoming too hot. We haven’t even talked about half of the other big names with great phones like Motorola, HTC, etc.